U. Grening asks: What happens to your social security number when you die? Does it get used again? Early on, SSNs were issued through the states, and the first three digits designated the state where the person obtained the number; some states had more than one number, and this continued through 1972. Beginning in 1973, the numbers and cards were issued centrally, from the Social Security Administration (SSA) in Baltimore, MD, with the first three digits being assigned based on the zip code included on the application. Most people can verify that their number coincides with the place where they obtained their number here. There is a general east to west pattern, although not perfect, in the assignment of the first three digits, with several exceptions. For example, New Hampshire is 001-003, Maine is 004-007 and Hawaii is 575-576. Places that fall even further out of the pattern include D.C. (575-576), Puerto Rico and the U.S. Virgin Islands (580-584, 596, 599), and Mississippi and Florida (both received 587-589 and 595 after they exhausted their initial assignments). 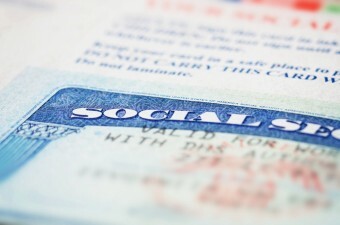 The remaining digits of the social security number have little significance, other than as a unique identifier. The second two digits were initially designed to be the holder’s date of birth, but this was quickly abandoned in place of using those as a group number to ensure the accuracy of the issuing process. The last four digits are simply a serial number. To date, 450+ million SSNs have been issued, but with just under 1 billion possible number combinations, there has never been a need to recycle numbers, and the SSA notes that it does “not reassign a Social Security number (SSN) after the number holder’s death.” Of course, at some point the numbers will run out and some change will need made to keep up that policy, perhaps adding a digit. But, for now, the answer to “What happens to your SSN when you die?” is absolutely nothing. It remains yours. According to the Pew Research Center, in a 2013 survey of Republicans, Democrats and Independents, only 12% of Independents and 17% of Republicans favored decreasing spending on Social Security, while 35% of Republicans and 37% of Independents favored increasing spending. The Democrats were split 3% (cut spending) to 49% (increase spending). The Social Security trust funds were created in 1983 by a prescient Congress that anticipated the drain retiring Baby Boomers would have on the system. Taking in far more than it spent for 30 years, by September 2013, they held more than $2.8 trillion in assets. Social security provided $786 billion in retirement, survivor or disability benefits to 57 million people in 2012. Benefits are paid according to earning history and age of retirement and are not dependent on the amount you paid in (although the benefit received is correlated to earnings). The long-anticipated Baby Boomer mass retirements are finally realized, and since 2010, the system has been taking in less than it has expended. The trust funds and reserves are expected to last through 2031 (or 2033, depending on whom you ask). Absent social security, more than 40% of people aged 65 and older would live in poverty. Today, nearly 90 percent of this demographic benefit from Social Security, and it is the majority source of cash income for 65% of retirees. I’ve read that the money in the Trust Fund is “borrowed” by the Federal Government, and there is no money in the Trust Fund. The Trust Fund books show that there is money in the Fund in the Asset column, and also that the money has been lent to the Federal Government in the Liabilities column. In other words Social Security is broke.